Welcome everyone here! I notice that the age of the audience is slightly different than the normal and so I think we will crack straight on. Some of you might recognise what this picture is. This is a photograph of the back of the eye. This is the optic nerve, and these are the blood vessels, the veins and the arterials, and you may astutely notice that there is a rather large red blob here, which is a large haemorrhage and there is leakage of fluid, and this is something that, after the age of 70, we begin to dread because we know so many people who have this. This is one of the commonest things that can happen to your eye and it is macular degeneration and, until very recently, this was incurable. We have to consider several things. In our society at the moment, we have an aging population – I will talk a bit about that. I will talk about eye conditions, because it is not just macular degeneration, although I will concentrate much of this talk on that pressing issue. There are blindness costs and there is the care and partial sight, there is the role of charities, and we will try and go through as much of this as we have time to do tonight. 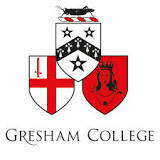 I would like to say thank you to my colleagues who have provided me with help and, previously, training; thanks to Gresham College of course; and most importantly, thanks to my patients, some of whom are here, including one who I have not managed to kill off with sulphonamide poisoning after an operation, so thank you very much for being so generous to let me know that everything was alright. Now then, ageing is a triumph of development. So, this is a different way of looking at aging, in a rather positive way, rather the same way that Meryl Cook looks on aging. Now, the elderly population is expected to increase by 200 million within ten years, going past the one billion mark, and reaching two billion people by 2050. This is a terrifying thought for those who are likely to be alive in 2050. The first baby-boomer turned 60 in 2006 and, since then, 8,000 every day have passed that milestone, so there will be 3.2 million centenarians in 2050 – there is currently 300,000. Now, the situation in the United Kingdom reflects this. It is slightly better here than Japan, and it is slightly worse than other parts of the world. We have ten million 65 year olds, 5.5 million more are expected in twenty years’ time, bringing it to nineteen million by 2050. More than half of these people will develop an age-related eye disease, and currently, there are three million people over 80 years – that is going to double by 2030, reaching eight million by 2050. What we want is to have a society where we have lots of 80 year olds and centenarians doing this, and not being unhealthy, burdened by unnecessary aging illnesses, and a lot of the stuff I am going to talk about, prevention and treatment of eye disease, applies to prevention and treatment of your brain, your heart, your liver, and various other bits that start falling off the undercarriage when we get past the age of 40. At the moment, one in six of the population is over 65, but by 2050, it will be one in four, and there will be half a million centenarians in the United Kingdom so whoever is on the throne then is going to get writers’ cramp if they carry on sending the telegrams! In 2009/10, state benefits and the NHS, 50% of Government expenditure was provided for these people, and the average cost of providing hospital and community health services for a person aged 85 is three times that of a person who has just retired at the age of 65. So, growing numbers of people, as we can see on this demographic chart from the Government’s own statistics, the population, look how it is shifting… At the moment, which is blue, there are not great numbers of people in this elderly age group, but by 2030, there is going to be as many people in this age group as there are in the young age group. It is not just the macular, there are other things. You can get dry eyes. The lids can become lax and start to fall away, causing problems with either drooping eyelids or eyelids falling out, causing soreness and redness. We get problems with the lacrimal drainage system – watery eyes become increasingly common. The cornea can get various aging diseases. Some are not important. The arcus, which we often see in portrait painting, which is the little grey line, particularly noticeable in people with brown irises, and that can represent problems with cholesterol and sometimes it is just normal aging. A disease called Fuchs we will talk about because that, again, becomes more important with age and has implications for people having cataract surgery. Shingles becomes increasingly frequent, and the Ophthalmic Division is a frequent and favourite target for chicken pox to reactivate, causing this disease. The lens, probably the first sign of mortality is when we start reaching for our reading glasses at the age of 40, depending on our underlying refraction. This disease, called presbyopia, we will spend some time with because there are some major advances coming along in the pipeline. We also get cataracts and they are much more frequent in the aging population and are not only expensive to deal with but there is also some positive and good news with dealing with them as well. We know about floaters – they become increasingly common, and separation of the jelly at the back of the eye is almost a normal event in the retired population. Then the retina has a number of things: mild age changes up to clinical, age-related macular degeneration. We will talk about the eye anatomically going through. This is shingles, which is a terrifying and debilitating disease, and when it affects this division, particularly if it is affecting the bottom of the nose, the virus travels through the eye and can cause significant inflammation and severe visual impairment to that eye. Treatments are essential to get on board early and pain relief is very important in those early few days to prevent late postherpetic neuralgia that can affect people for years after the initial onslaught, even once the rash has healed, leaving the scarring. Fuchs’ dystrophy is something that I spend quite a bit of time dealing with, and it is due to the inside layer of the cornea, the window in the front of the eye, getting little warty excrescencies here, which lead to the cells slowly dying, so the population of cells on the back of the cornea is not sufficient to maintain clarity after a while, nor to maintain it being waterproof, so we get these little blisters developing, and when they rupture, it can be extremely painful indeed. In the early stages, it can cause no problems at all, but later on, starts to cause glare and dropping visual function. If we operate on people with Fuchs to take their cataracts out, we can often end up with this situation, which is called decompensated cornea. The treatment for this traditionally was to perform a penetrating corneal transplant. Here is one with the sutures in; and here is one with the sutures out. There are several problems with performing a penetrating transplant. One is you do not get very good vision for the first year until it settles down. Secondly, when we take the sutures out, we can get any corneal shape you like, and this irregular astigmatism can be a real bind and often these patients have to wear contact lenses. Some major advances occurred recently, developed by Gerite Mellis in the Netherlands originally, which is to actually not transplant the whole thickness of the cornea, but just transplant the back surface, mounted on a little bit of stroma. Here is this eye, where you can barely see there is a corneal transplant. You might realise it is clearer here and it is a bit more cloudy on the outside here. This is the same eye immediately after the operation. You can see these little blisters on the outside surface, what we call bully, bullous keratopathy, and you can already see, a day later, that they are starting to settle down and improve. So, not only does this cure pain, it also restores sight. Here is the thin scroll of this single layer of cells, fixed and adherent on the back of the cornea. This does not require sutures and leads to rapid rehabilitations. There are several developments of this that are now occurring, and it makes treatment of this disease much more predictable. The first target of aging in the eye that becomes apparent to us as individuals is when the lens begins to age. When we are young, if we look in the distance, we can have a perfectly good vision and see the chart on the wall twenty metres away with no problems at all. If, however, we want to see nearer, we have to do something to this lens to make it more powerful, and we use these muscles to relax the capsule and then we get a powerful focusing system. This is called accommodation. Unfortunately, as we get older, our lens is already too rigid. Instead of it being soft, like a spring onion or a salad onion, it becomes more like a Spanish onion, and it becomes tough and it does not deform, which means that we cannot focus for near and, eventually, our arms are not long enough and then somebody suggests that you might like to try a pair of their reading glasses, which instantaneously brings near vision in menus to light. Unfortunately, if that person we have borrowed them from happens to be the waiter, it leads to severe marital discord and it is much better, instead of borrowing other people’s glasses, to get this fixed up and sorted. Now, a lot of people, like me, go through a lot of glasses in a day, because we go to a lot of places, and I know that I am not alone in finding that…I find glasses down the back of sofas, in the kitchen, on the side of the bath next to where I shaved, and this becomes an expensive and nuisance option. So, people want to find out is there a way, instead of putting a reading glass up here, a more powerful plus lens, is there something else we can do? Well, some people are working on neuro-vision, neuro-training, and there is some evidence – it does not give you very much, but it might keep you out of reading glasses for a little bit longer, particularly if you live in a hot climate like Singapore. There is also the pinhole effect, and if we put a pinhole up, instead of having a wide aperture of light hitting the eye, we just have this small cone, which increases our depth of focus and we are able then to see for near as well as for distance, but we cannot walk around with a pinhole because we would fall over everything because we would have such a tiny field of view. But you may have seen the idea of having multiple pinholes in your spectacles to walk around and this is meant to be a cheap and cheerful solution to a variety of visual problems; however, it still does reduce the overall function of the visual system because you are blocking light coming in. Can we adapt this and use it further? Well, yes, and, fairly recently, this new device, which actually implants a pinhole into the front of the cornea, is put into one eye, the non-dominant eye, commonly the left eye in right-handed people, and, again, this allows people to read, and the few several hundred cases that were done in Europe and the United States achieved very good, positive results, and, amazingly, the patients were very happy. If we do not want to go into the cornea, we can go inside the eye, and particularly for people who are slightly long-sighted, who come into presbyopic symptoms much earlier, some surgeons advocate taking out the clear lens. There is a problem with taking out the clear lens, is that it is risky – it runs with a one in 50 chance of a surgical complication, and in the young age group, nearly all of them develop a thickening, a fibrosis of the membrane, that subsequently requires a laser capsulotomy, as you can see in this patient here. If we just put in a single focus lens, we leave the eye very short-sighted. So is there a way we can use a multi-focal lens? Yes, there is, and here is a multi-focal lens which has little, almost invisible, defraction gratings and this is the multi-focal – many other companies produce multi-focals. So, here we have, with a mono-focal, if we only fixed at the eye for distance, this is what you would see: you would see all the birds on the top of the skyscrapers very happily, but you would not be able to read your mobile phone. Now, with a multi-focal, what happens is you can see the birds on top and you can read your mobile phone, somewhat, but the intermediate distance is not so good, but then your other eye will be fixed up to accommodate for that. So, it is a solution, is it not? But it has other problems as well, and probably one of the biggest disadvantages in our world is this, which is glare. So here is a simulation of a single-vision lens, which gives you good distance vision and not very good for near; and here is a multi-focal at night-time, with glare and haloes around lights. Now, many people find that tolerable and they are usually people who live in places like California and Florida, where it is nice and bright or it is nice and dark, and they do not have to function in a world like ours in Northern Europe, where we are making quick judgements on greys on grey, at rapid speeds, and that can be terrifying, having these visual aberrations, if you are driving through the London traffic at five o’clock in a winter, rainy evening, with a grey van in front of you that says “Clean me” and various other lewd remarks under that. So, can we correct this problem and change the focus of the eye when we want to see a near object, without inducing aberrations and glare? Well, the answer is yes, and this was one of the first attempts. This is the crystal lens, and you can see it is fixed on some flexible hinges, and the idea of this lens is, when we are looking for far, we are here, and when we look for near, we still, even though we have done the surgery to take the crystal lens out, we have not taken the muscle out, and the muscle contracts and it moves the lens forward. There is some limited data that shows, in some of these patients, indeed the lens moves forward, but when you calculate how much that lens moved forward, it is not enough for them to get good reading vision, so how do we explain these patients are getting good reading vision? Well, it turns out that the optic of this lens is very small, much smaller than we would do in standard cataract surgery, so what we are doing is almost like a pinhole effect: we are giving good focused vision through the small bit here no focus vision throughout here, and this is one of those ways we can increase the depth of field, as we can with a pinhole, and it is calculated that this will give an equivalent of 1.5 – you know the lenses in the opticians come with 0.75 and you start off on those and, before long, you say my eyes are terrible, I am onto 3.5s? Well, this tells you the sort of effect you are going to get on that scale. It has other issues, and it involves surgery on the inside of the eye, and because it has got a flexible loop here, a number of different complications can occur. It can sometimes not fold properly and you get a Z syndrome, and because it has got a small optic, you get glare effects and edge effects from it. Certainly a very interesting piece of technology, deserving further research. Here is a version of a lens which is two lenses: one is a minus lens here, and a very, very powerful plus lens here, and as you can see, it definitely moves, and these patients, because of the larger optics, have less effect of glare, and this lens is currently being trialled out at the moment. You can see how complicated it is to put this lens in the eye, and really, this is for elite surgeons only, even when the trials come through, because the potential of complications to the capsule will be enormous. The third issue I have with this is that: how long will this stay rigid? We know from replacing lenses in people some years down the line, for whatever reason, the capsule bag we have taken the lens out of turns into something with the qualities of a crisp, and there is not going to be this flexibility and movement of the capsule ten years down the line, although there may still be some movement of the whole thing because of the ciliary muscle. What results are achieved with this lens? Well, here we are, with reasonably clear for the distance here, and when we accommodate, we move the bits up and now we can read for near, as these distract apart by changing the power of this telescope, and certainly, this is a very interesting technology and their results are showing pretty good results, with about 77% of people not wearing glasses at all. Some, of course, it does not work in everybody and they need glasses for near, and some people, we overshoot, need it for far, and some people, we just do not get it right in at all. It still causes problems: non or mild glare, moderate and severe…This is really bad and this can stop you driving at night time and that is about 20% of people. So, we are moving there, the results are getting better, but it is still not a perfect solution. So, is there something we can do to naturally change the shape of the eye itself, without putting aberration problems or pinholes reducing the light, reducing the contrast sensitivity? Well, there may be. In some people, if we steepen the cornea with a laser beam, we can get this eye to focus again for near, but that is not the entire answer because that is called mono-vision, so we have got one eye now that is short-sighted and one eye that is long-sighted, and this in itself may lead to some issues. I am thankful to Diane Reinstein from London Vision Clinic for this, and what we are showing here is that we can get the far distance in the distance with micro mono-vision. We are using the dominant and the non-dominant eye together, and what we want to do is to try to get the near and intermediate and distance all working simultaneously by using both eyes together, and allowing the brain to blend this area here, which stops us getting the problems of having one eye just for near and one eye just for distance, which can lead to problems with depth perception and also people being extremely unhappy with the difference in focus between the two eyes. Now, this is what happens if you do not – you end up with this, as I pointed out with those simulations before with the multi-focal lenses. The bit in the intermediate can be a major problem. With contact lenses, you end up with this situation: the dominant eye, corrected for distance, blurry girlfriend; non-dominant eye for near, clear girlfriend, blurry distance; and some patients, just over half, can tolerate this. With laser blended vision, what we end up with, in the dominant eye, is less blurring for near, no blurring for distance, the non-dominant eye, less blurring for distance than we had before, very good focus for near, and together, with both eyes, we have this blend that allows us to see in the distance, the intermediate and near. So this may well be the way forward, and Reinstein’s results, which you can see here, which have been published, using the laser, with 98% of patients tolerating this well. Again, we are using this blurring, using natural aberrations to allow the brain to put together. Of course, if you do not like the idea of surgery, do not let me put you off spectacles, and we are actually in the building where this is my drawing of the world’s oldest dated pair of spectacles, which is in 1440, found in Trig Lane in Blackfriars, and they are very similar to the pair depicted here by Tomaso da Modena on Friar Hughes’ face, and this is the oldest depiction of spectacles in the world, done in the San Nicolo when they wanted to move the Dominican Order to that city – they did a massive cycle of decorations, and there are several visual aids shown. One of the other burning issues that starts to concern us as we get older is the blurring of vision caused by cataract. Initially, we get a condensation of the proteins and, first of all, we quite like this, particularly with the non-dominant eye, because it brings forward the reading vision and makes us a little bit short-sighted, but it does blur the distance vision a little bit as well. After a while, however, not only do we get changes in focus of spectacle prescription, it starts to go cloudy and builds up yellow pigment, which can make the vision deteriorate significantly. Here is the patient now, with a cataractous lens that has advanced significantly far. You will also know the sepia effect because of this yellow pigment in the lens. This yellow pigment may affect circadian rhythm. There is a nucleus in the brain called the suprachiasmatic nucleus. Those of you who remember my first lecture, which is so long ago I can barely remember it myself, will understand that the eyes cross at the back, through the nerve, through the chiasm, from the Greek word for X, and just above that chiasm is a nucleus which has direct feeding from the eye, which tells us when it is day and night, and particularly switching on hormones, so we switch on cortisol, and we also then can be ready to go, and then we also switch on melatonin to damp everything down. This is really important for health, and it turns out that the fibres that feed this are not in the pigment layer, not in the photo-receptive layer, where traditionally the rods and the cones are, they are in this layer, and they are ganglion cells, and they are even more interesting than that, as we are going to find out in my next lecture, because they actually contain the visual cycle and the visual system that is found in insects, so a very, very ancient system indeed. That system may be more important, aging in that, and it may also be more important changes in the retina than actually the changes in the lens for reflecting colour vision and visual perception. We are now going further back into the eye, into the retina, which is the photographic film on the back of the eye, very thin, but actually, if we take a cross-section through it, it turns out to have many, many layers. It has the blood layer, called the choroid, it then has a little membrane that separates the blood, and then the tight junction, with this pigment epithelium, which stops leakage through here, and then the photo receptors, mentioned before, and then the little bit of clockwork that ties that all up together and gives us all those lovely visual illusions, and then the neurons that go and take it off to the brain, and the suprachiasmatic nucleus as well, to help us wake up in the morning and go to sleep at night. This is a highly active system. Every time a light ray hits it, bang, there is an electrical reaction, and we know that electrical chemical reactions create heat and that heat has to be dissipated, which is why we have got a big blood flow here. Furthermore, it creates oxidation, and oxidation is bad – it binds to things and makes them turn into chemicals, and these chemicals start to fill up gradually and they are difficult to get rid of, particularly if they are fatty and waxy, which is the end bits of these cells which are being engulfed all the time and recycled. They have a lot of fat residues because basically cells are fat-coated machines. This is what happens. At the age of ten, we have these little fat particles called lipofuscin. So, is that not horrifying? We are starting to age at the age of ten. By 25, the situation is looking desperate, but do not worry, it gets worse. About 30% of the cell volume by weight is this crud, and when we look into the eye, we can see it, and as we get older, we start to accumulate this. These are called drusen. They are first described by Donders, who is a brilliant ophthalmologist and medical scientist, and he called them colloid spheres. Now, these drusen are collected underneath pigment epithelium. They do not contain exactly the same as the lipofuscin does in the cells. They contain other things – they contain proteins, they contain zinc and they contain very difficult to get rid of material, which is derived from both the retinal pigment epithelium layer but possibly also from the choroid underneath as well. We have got a lot of cholesterol, phosphorylated choline, proteins, and zinc, which is interesting because we are going to talk about zinc later on. Now, the drusen can accumulate together and become larger – we can see this on this OCT picture, which is of a living eye, taken along this axis, and we can see these accumulations. This becomes quite significant and also you will start to notice some pigment can develop. So, we now can see the inevitable pathway of aging, and remember that early age-related macular degeneration affects 30 million Americans – this is a large number of Americans, more than have passports – and what happens here is that these hard drusen, we believe, will accumulate into soft drusen, and these are a bit larger – they are over 125 micrometres – and then we get pigment abnormalities as well. This stage, in some people, will go on to allow a large bleed, and instantaneous loss of your central vision, or gradually and relentlessly just accumulate, with the pigment layer gradually rotting around the edges and leaving these geographic pictures – so it looks a bit like an island, does it not? Then people have different patterns of different continents, depending on who they are. Well, so what? Let us have a look. If you were to simply add up a score which is, if you have got large drusen in one eye, one per eye, and pigment abnormalities, you can get a little score here, which can tell you what your risk is of going onto something horrible. If you have none of those risks, this eye, you have got an 0.4% chance of going on to develop advanced AMD, which is one of these. If you have a score of one, you have got a 3.1. If you have got two of these, so you have got pigment abnormalities in one eye and a perfectly normal eye or mild age change in this eye, you have got a chance here now of 12%, but if you have all four – you have got pigment abnormalities and large drusen in both eyes – you have got a 50:50 chance that you are going to end up looking like this in one eye, and if it ends up in one eye, there is a very good chance it is going to go and end up in the other eye as well. So, if you have got eyes that look like this, it is of concern, and there may be some things that you might be able to do to delay the inevitable progression. Severe macular degeneration – this is the blinding sort – affects about 15% of the population over 80, so it is an extraordinarily common disease. It is one of the commonest single diseases there is, and it is going to affect, by 2020, three million. 2020 is an interesting year because the Americans do not use metres, they use feet, so they do not use six over six like we do, which is a chart at six metres, they use 20 feet, so 20 over 20 is normal vision, but it also happens to be seven years’ time, and what they are trying to do is to do a project, which we will talk about later, to try and minimise the impacts of certain preventable diseases. Well, so, what does this do to you? These are from Novartis, who make one of the drugs for treating this disease. The pictures – if we just have drusen, and we all do, and we all collect them, we have normal vision, and we see things normally, and if you do go to your optician and you have these, you are going to have a little chat, hopefully, you know, a chat to you about your smoking, your blood pressure, good diet, and your risk of going on to wet macular degeneration over the next five years is about 4%. Now, these, larger drusen, tend to cause a little bit of blurring on the smaller lines of vision. People are starting to notice some early problems, and if they are in the dead centre, there may be a little bit of wiggliness where previously there were straight lines, and if these are very large, some of these – they can be half a millimetre – and again the chat is the same – smoking, but we are going to add in some other things now. Perhaps you want to look at your cholesterol, your blood pressure… You have got a 48% chance over a significant period of ending up with something like this happening to you, and when this happens to you, you do not have vision like this anymore – you barely have vision like this and it is very squiggly and horrible. With geographic, again, you barely have vision like this, if it affects the centre. If it does not affect the centre, you can have vision like this, but if it does affect the centre, you are going to end up with all sorts of distortions. Furthermore, a small number of these patients, particularly those who smoke, can go on to get wet on top of it, which wipes out the remaining visual function that you have in the centre of the eye. Geographic macular atrophy is really important and it is common. It is an advanced form of macular degeneration. It is considered to be not as bad because it is slow, but it has no treatment and it is inevitable, once you are diagnosed with this, if you live long enough, you are going to run into problems with vision. It causes 20% of cases of legal blindness in the study. It enlarges, on average, by 1.5 mm squared per year, and as it enlarges, the rate of reading drops, and you have what is called a low luminous deficit – it is difficult to function in dim light. It may be genetic, and some of these genes, where they are different, carry different risks for developing this disease, and what is interesting is some of those are related to inflammation, and there would also be environmental factors. If you have a low activity of a receptor, which is a single molecule in the very ancient immune system, not the acquired immune system but our innate immune system, that can increase your risk, and one of the big environmental things is smoking. There are a number of trials for dry macular degeneration. Some of them have shown results, and you might think that is great, there is going to be treatment, but unfortunately, one of the ones that showed results ran out of money and is probably highly ever unlikely reach the shelves, which is extraordinary, but these are very, very expensive trials to do. Let us see how it goes. It starts here, and it enlarges, and we can map this, using this special auto-fluorescence, to see how the area of damage is growing. One of the promising trials was from Neurotech, and this is using a ciliary neurotrophic factor, and this is quite interesting because it is using capsulated cell technology, so they have retinal pigment cells secreting this in a little cage that allows the substance to come out but does not allow the retinal pigment cells to escape and start causing problems. It is also used for other hormone release systems as well, and may actually one day be a cure for diabetes. If you could actually have one of these encapsulated cell technologies working permanently, you could have it making insulin, for example. This stabilised vision in 96% of the patients, compared to 75% of the controls, which is significant, but what was interesting is, is that increased the thickness of the retina, implying that it is improving the situation – it may be causing photoreceptor rescue. Serine Therapeutics are studying fenretinide, which is a vitamin A derivative, and it stops the production of disease and slows the growth, so it does not advance so rapidly as this. It needs funding for an FDA trial. Again, Accue 4429 is a visual cycle modulator, and this decreases the toxic by-products of vision, and there are several other anti-inflammatory agents that are being trialled at the moment – sirolimus, anti-CD5, drops and also glatiramer acetate immunisation, which has been tried, and immunising in the skin with this is believed to slow the rate of progression and damage in this condition. Again, under investigation, nothing that we can say is on the shelves, but maybe on the horizon in the next few years. Everyone is excited about this wet macular degeneration because it looks terribly impressive, and it also is very impressive if you get it. What happens here is, we mentioned these drusen collecting in the pigment epithelium before, but what now happens is the blood vessels start to break through and start to cause swelling of the retina and early distortion, and then, eventually, you get a massive big dome of a bleed under the retina, which is what we are seeing here. Well, the treatment for wet macular degeneration… In the 1990s, there was not any. There was laser that came along and someone thought this might be a good idea – we can go in and we can seal these, we can cauterise, using hot light, and seal these. The problem was that the patient instantaneously went blind, and what you had to tell them was you are not going to be as blind in five years as you would have been if I had not done the treatment, which is not a really good way of approaching a problem because most patients are really, really unhappy and the doctors do not like doing that either. It is terrible – some of these patients have really good vision, and you fire the laser and you blind them, so that they are not going to be as blind a few years’ down. So, 20% of them lost six lines, whereas 37% of those untreated did, so it was significant but, you know, it was not good. Off-centre membranes, slightly better, but again there was a 55% recurrence within three years, and laser clearly was not going to be the be-all and end-all for this disease, and it was very unpopular with the patients. Then, in 2000, photodynamic therapy was introduced, and what we did here was to inject this molecule into the arm, and this molecule would go and light up the blood vessels and enhance their ability to pick up light, which means we do not have to use a hot laser, we can use a cold laser, and this cold laser does not damage the retina, so only the blood vessels that have picked the verteporfin were cooked, so it was localised cooking, and this was really handy and it was revolutionary. It improved visual outcomes. Instead of just saying, “You are not going to be as bad in five years as if I do not do it,” which is a difficult concept to grab, these people actually stabilised and some of them got some improvement. Now, the best was from what we call classic lesions, and those are the ones with the beautiful patterns that we see on the fluorescein angiogram, this classical pattern. It was very expensive. A single dose of this was a thousand dollars, and you need three and four of those a year, for the first couple of years, maybe less frequently thereafter, and only 30% of patients with wet AMD were eligible because only those were the ones that have the really classical lesions. However, this technology is still used because age-related changes in the Asian population are caused by a slightly different thing called polypoid and this tends to cause discrete multiple focal lumps of these haemorrhagic lesions, and this does not respond to the modern treatments for macular degeneration but does respond if you add in PDT. So, it is a technology that still has a use in certain applications. Judah Folkman in Harvard in 1971 discovered the process of angiogenesis and described the mechanisms. He related to me, just before he died, that his paper was submitted to over 60 journals, being rejected by all of them. He would almost certainly have got a Nobel Prize if he had lived, but it cannot be awarded posthumously. His work has led to an exponential increase of research in this area. Not only does it have implications for cancer, but in particular in our field and what we are talking about tonight, it has implications for saving people’s sight. Napoleone Ferrara, here, took this on-board and developed a mono-clonal antibody that inhibits the product of the gene. This is called VEGF and you will hear about it – Vascular Endothelial Growth Factor, and a drug called bevacizumab was invented. This was then trialled in colon cancer and has effects in slowing the growth of tumours. Now, for the eye, what he did was he did not want to inject a great big molecule like this, so he made a small fraction and this was called ranibizumab, or as we know it lucentis. Now, this binds to the growth factors for the blood vessels in the eye and stops the vessels growing. What was interesting about this was, when they did inject it into the eye, they had astonishing results. This was one of those damascene moments in ophthalmology because this was the first time we had people not only losing vision but we had people gaining vision. Unfortunately, you needed an injection every single month for 24 months, and this costs £2,000 a pop, so it is an extremely expensive way of dealing with this problem. Coming back, people thought, well, this is £2,000 a pop and this whole big molecule together, which is called Avastin, is £80 for a vial, maybe if we fractioned out the vial we could actually use that, and in fact, yes, it is effective, and we will talk about that in the next slide. But look at these results…95% of patients maintained visual acuity. This is not just a small select population of 30% of people with wet – this is the whole lot of them. Some people do less well – we have people with what are called pigment epithelial detachments, and it seems not to work very well in them compared to others, but most patients are suitable for this, and 40% demonstrated an improvement of vision of at least three lines. Is that not extraordinary? This is a patient of mine who we treated. Here we are – he has got these blood vessels growing here, very aggressively indeed. This is post-injection, and the fluorescein angiogram shows no leakage, just where these sites were, and this restores his vision, because the leakage here had dropped his vision to below driving. He has to care for an invalid wife, and now he is able to drive, and drive her to her appointments, and go down to the golf club and do various other things, and it has totally changed his life. This is a classic lesion, which has a beautifully well-defined border, and these are blood vessels, which are leaking fluorescein, and this is the result of what happens. They cause this swelling, just like those models I showed you earlier, but this is in real-life and this is post-injection – this is actually post-Avastin. We flatten it out and nearly return to a normal anatomy, and this is why we can restore vision. If we can use Avastin, should we use it? Well, two studies have come out: one was the IVAN, which was head-to-head comparing this, and, at one year, there was no difference between using Lucentis or the cheaper Avastin; and then there was the CATT, the comparison of age-related macular degeneration, and two year results showed that both drugs are effective, with a monthly dosing – slightly more vision in the expensive, the Lucentis, group, but they had ten more injections overall to achieve that. If you switched to one year, you did not get such good anatomical results, but it was only a couple of letters less on the chart. So, this has major implications and has caused major controversy. In 2008, Avastin cost Medicare only $20 million for half a million injections, whereas Lucentis cost Medicare $537 million for just a third of a million injections. So, the cost of treating wet macular degeneration is greater than ten billion, which is enormous. If we switched to Avastin, we would save the NHS 84.5 million a year, for a drug that has been shown to be visually just as effective but may not be anatomically as effective. However, Avastin quite rightly point out that doctors have to work under very strict guidelines, particularly as we are now being monitored with an ever increasingly powerful microscope into every aspect of how we function, and they say using an off-license drug is unsafe and it is unlawful because it undermines the regulatory process introduced to safeguard patients – it is a very good argument. There is a legal requirement for PCTs, the providers of healthcare in England, to provide funding for a NICE-approved drug, otherwise why bother having NICE?! It works two ways this, does not it? And then the GMC come in onto it and they tell us that if we use an off-label treatment, it is only acceptable when an unlicensed product would better serve the patient’s needs. So, essentially, doctors who are trying to do their best for patients by using a drug that is fascinatingly less expensive, which enables them to have multiple treatments, are actually taking a personal risk at being able to practise medicine, and no lawyer will back them up and defend them. So, why are so many doctors doing this? Because they personally believe it is better to allow patients to have treatment that prevents them going blind than have a treatment that is unaffordable which means they cannot have the injections at all and then we are back to square one. So it is a difficult situation. Currently, the NHS has very good programmes for dealing with macular degeneration, using Lucentis. It is not as patchy as some aspects of healthcare, and this has been done rather well. Whether we are going to switch over and now use Avastin in the light of these trials, the CATT trial in particular, remains to be seen. Meanwhile, the enormous Novartis, which was formed by a merger in 1996 of the two key Swiss pharmaceutical organisations, Ciba-Geigy and Sandoz, are actually terrified that, for public health reasons, a decision on cost might be made. Low-vision aids –need things to be bigger and bolder and off-centre. There is a lady in the audience already doing this, which is fantastic. One of my patients uses her husband’s binoculars to watch the telly, because it makes things bigger and bolder and nearer. This is an Irish low-visual aid that is made out of mahogany. It is an absolutely beautiful thing, with different powers that you can switch and put into it, and Eamonn O’Donoghue, my former boss, is actually adding some more power with his reading glasses on top of that as well, which is worrying when you realise that it is about time he should stop smoking – he is also wearing my scarf…that is interesting! Anyway, magnification is very, very important. Magnifying lenses increase the print size. The problem is they reduce the number of letters in your field of view, and it is not much point reading something letter by letter – it is not a pleasant experience. So, could we use a telescopic lens which would allow us to increase the amount of letters and maybe see three or four words, which then would allow us to read, slowly, but would allow us to read, and, using that principle, closed-circuit televisions which can magnify and put onto a large screen. I mean, if you read this as a small screen, it would be difficult for you, but if you had this system, even people who have relatively poor vision can then start to read things like the headlines and the larger print in the newspapers. Computers can also increase contrast. Most newspapers are muddy yellowish colour with a slightly grey print on them, and it seems to get worse as every year goes by, and the printing quality is relatively poor. If that comes up on the computer, you have very bold black and white contrast. Also, you can get speech synthesizers that can actually talk and read to you and you do not necessarily have to have the one that you know so familiarly on the radio. There are several different devices. There is a very French lady that speaks to you on the Apple system, and I am sure you could personalise this with having your wife or husband speaking to you, if you really wished, in the future. What about putting some of these devices into the human eye itself? I was involved in an early trial of this, and although we were getting some patients who had improved reading, really very few of the patients actually enjoyed having this procedure done. So, a smaller system was invented, here, and Agarwal in Chennai has implanted a number of these and shown very good results indeed, considering the disease he is dealing with. What he did was to take this principle, and this was the guy, Cassegrain, who improved Newton’s reflecting telescope so you could actually look at it as if it was a telescope and not from the side and this has a number of advantages, you know, for several reasons, and it is why it is now the commonest form of reflecting telescope there is. But actually, Robert Hooke, the former Gresham Professor, built the first reflecting telescope, on a design by James Gregory, who never built it. Risk factors. It is not called “age-related” for nothing. So, what is the commonest risk factor for macular degeneration? Age. We saw the more advanced phase on this patient earlier, if you remember, the large lesion, but this is her ten years earlier, with an early geographic lesion and 20/20 vision. Despite the protestations of her daughters and myself to give up her 80-cigarette a day habit, she continued to smoke, which is known to be a risk factor for speeding up this process and also for developing wet macular degeneration. The daughters realised that familial factors – we have already mentioned there are several genes involved with this, and about 80%, after the aging, the rest of the risk is related to variations in certain genetic markers. The lifetime risk of getting late-stage macular degeneration is 50% of those who have a relative with macular degeneration. It is only 12% if you have relatives that did not. Now, these are the genes. Many of them, as I said before, are associated with inflammation. So, what is it about inflammation? What it is, is that we have a pre-set problem here with deposition of material that we cannot get rid of and then we do something to create inflammation, and then inflammation leads to the angiogenesis, and that leads to the growth of the blood vessels, and that leads to the bleeding. Furthermore, there may be other issues. It is recently been found the DNA repair gene, and this is very recent work – it is only been nine months – is actually involved with dry macular degeneration or visual loss. We have said smoking increases the risk of macular degeneration by two to three times of that of someone who has never smoked. Simon Kelly in Bolton is one of the leaders in this field in this country and he has done much of the research. Vitamins. The AREDS, which was a trial in America, a very large trial, put people into different groups and gave some of them vitamin supplements, and what they found was that vitamins actually decreased the risk of further progression in those with advanced macular degeneration to further significant sight loss. It was no help with prevention in normal sort of people with early disease, so if you are diagnosed with having drusen, there is no point in taking vitamin tablets, and in particular, if you are a smoker, you perhaps should not because some of these tablets increase your risk of lung cancer, particularly if you are a male. Fats are the big thing. Now, we have, in the diet, two fats that we cannot make – they are called essential fatty acids and we must eat these – not only us, actually fish must eat them as well, and fish get them from eating algae, but we can eat the fish, which cuts out us having to eat the algae, which is much more pleasant. The two fatty acids that we need to have - one is alpha-linolenic acid, comes from the word “linon”, which means flat, and “linen” in old English. This is an omega-3 fatty acid. Now, you are going to hear a lot about these so I thought I would spend a bit of time with you. Fatty acids are counted by the number of carbons, and from the tail-end, one-carbon, two-carbon, three-carbons, this is three, this is the omega end, is a double-bond, so this is an omega-3 fatty acid and because it has got a double-bond, it is polyunsaturated. If it has no double-bonds, it would be a saturated fat. So we are dealing now with unsaturated fats, and we get this from linseed oil. We also get it from rapeseed oil, soya beans, walnuts, and various other things such as hemp, coming from Cornwall as a by-product of their recreational industry. They also make it into a lovely, delicious, nutty-tasting oil that can be added to your cereals in the morning. Now, this has 18-carbons. If we add on two more, and we do tend to metabolise by adding on two more each time, we end up with this, which is eicosapentaenoic acid, and that means, in Greek, twenty, and it has got twenty carbons. This is also an omega-3 because look where the double-bond is, it is still there, at the position three. What happens if you add on another two? Well, now we get the word for 22, which is docosahexaenoic acid, and again it’s an omega-3. This is DHA. This is a very important substance because it is the main structural fat in the linings of our brains, eyes, testes and various other important organs. Now, we can synthesise it, so if we eat this, we can synthesise this, but only 5% of what we eat of this ends up as this – it is a very inefficient pathway. But what is important about this pathway is that these omega-3s competitively inhibit these omega-6s. Now, omega-6s are linolenic acid – the double-bond here is one, two, three, four, five, six down. These form arachidonic acid, and this is the precursor of several inflammatory hormones. Inhibiting the formation of inflammatory hormones may inhibit macular degeneration and it may inhibit certain cancers and it may inhibit myocardial infarctions, or subsequent myocardial infarctions. Not only may it do so, it does do so, and many trials seem to be pointing in the right direction. So, all this stuff about eating the right foods and so on which might help you with macular degeneration, there might be something in it, and there are some trials which we will have time to talk about. This is the pathways that occur into the inflammatory. We make from these twenty carbon essential fatty acids, four families, prostaglandins, prostacyclins, thromboxanes and leukotrienes, and you just know by looking at those, those are nasty things! Thromboxanes, what does that mean? Thrombosis is what causes heart attacks and strokes. So what we want to do is not make the inflammatory ones like this – we want to inhibit those. If we have got a lot of omega-6s up here coming in, and then we suddenly bump in a couple of omega-3s, they slow the rate of production of these and you end up with less inflammatory mediators which have an omega-3 in them. Now, survivors of a first myocardial infarction, they are assigned to a Mediterranean diet. They markedly reduce recurrence and other cardial events, and also less overall mortality. So, how are we going to get these in? Well, we could eat fish, but the problem with eating fish is it is dangerous because they are full of mercury and other things. So, we have got to be careful how much fish we can eat. What we can do is eat fish oils, and there are certain fish oils that are being made and prepared, and some of them are better than others and it depends on how they make them because they also have to alter them a bit when they make them, which are free of mercury and can be helpful. There is also certain oils, and look at the flaxseed oil here. This is the ratio of six to three. So, olive oil, thirteen to one, six to three, not particularly good, but not bad. Sunflower, there is no three in it at all. Flax, one to three – it is the only one that, on this chart, and hempseed oil as well, that has more of the threes in, so these may be a very good dietary thing. Our diet is 30 to one in the wrong way round, of six to three, whereas grass-fed animals have more. So the original – what we want is the Stone Age diet, where we eat game, seafood, fish, salmon and nuts, and by the way, it has to be wild salmon, not farmed. Again, eat your spinach and so on. You can protect the eye with yellow lenses, and we will not talk too much about the burden of disease, except for to say it is extremely expensive and it depends which country. If you are in Germany or Canada, it is more expensive in treating this, but every single dollar you invest is going to give you a five-fold return, and we are talking trillions, and this is what I will show you. That is a hundred dollar note and that is a million, in a shopping basket, this is a billion, this is a trillion, and this is all doubled out, and three trillion is what you’re going to spend on macular degeneration, as a society. Can charities help here? Yes, they can, and they are very useful in rehabilitation. Mike Dudgeon, who was here earlier, Action for Blind People, set up in 1857, lots of practical support, teaching people how to get back in the workplace and also how to get support. The argument against charities is it stops this fellow doing his job, but the point is: can we trust this fellow to do his job and look after society? Can we do it even if it is not this fellow but is his red-tied mate? So there is still going to be a role for charities, despite Neil Levy’s excellent argument against philanthropy, which has many issues associated with it that are open for discussion. As Jonathan Meade said, as we spiral off this mortal coil into that inevitable necrophilia banquet in the dark, there are three things you can do to prevent you going blind from age-related disease: you could die young; it is preferable not to smoke; but most importantly choose your parents better next time!